Hand selected cars from around the country based on desirability, quality, appeal, and value. All in 1 location! We buy 1,000 collector cars a year. Start here for an offer. Family owned and operated since 1960, same location. There is no better place to buy, sell, or trade your collector car. On 35 groomed acres Volo Auto Museum has evolved into one of the most unique car collector establishments in the country. At the heart of it all is the collector car sales. 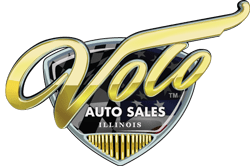 Volo Auto Museum has earned one of the most respected names in the industry, selling 1,000 cars a year around the globe. You know what that means? We need to buy 1,000 quality collector cars a year too. We are so fortunate; every day many cars are offered to us because of our reputation of being fair and easy to deal with. Chose what works best for you. Currently, there are 3 generations of the Grams family working the day to day operations. Volo Auto Museum is the family's passion. Not only is it a debt free company but the profits are reinvested back into the museum. It grows bigger and better each year. There are 33 amazing exhibits from Military and Vintage Campers, to one of the best displays of Hollywood cars on the planet. Wether you are visiting the museum, buying that hot looking 69 Camaro or simply browsing our website, we hope you enjoy.